We got a huge head of broccoli in the CSA. And I just wanted to make this for lunch today. Serve over rice. If using fresh, grate the garlic and ginger on a microplane and mix with the rest of the marinade ingredients. Set aside. Steam the broccoli and drain all of the water. 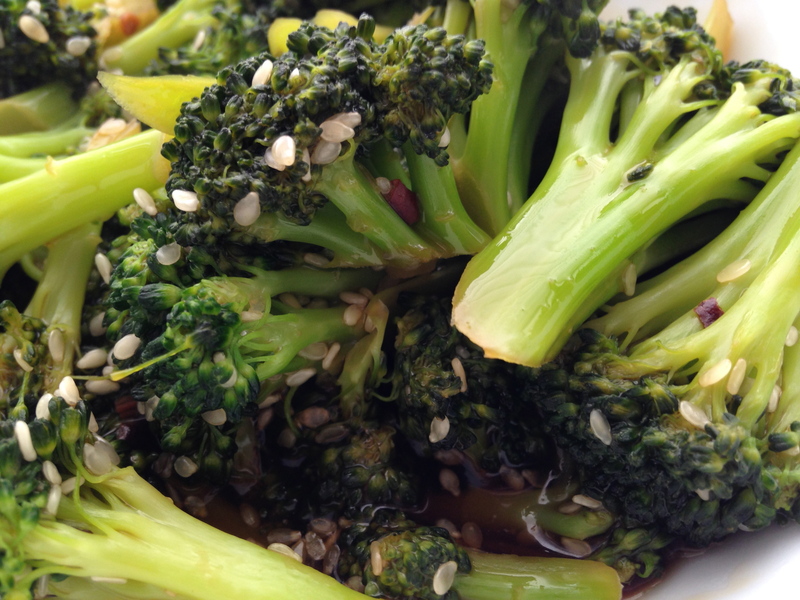 Place the steamed broccoli into the pan and add the marinade. Toss to coat. Mix the cornstarch and water in a small bowl (be sure to dissolve it all so there will be no clumps!) and add to the broccoli. Cook on a medium flame until the sauce is thick, about 3 minutes. Season with red pepper flakes and sesame seeds. Enjoy! Yum! I wish I had broccoli so I could make it today!